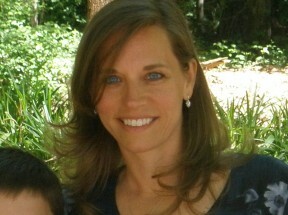 Tracy beautifully takes each letter of the alphabet and creates a scene to reflect God. No just a simple symbol, but detailed and thought provoking. The illustrations are designed to actually look like the letter of the alphabet they are depicting. A for always, is a girl praying in the shape of the letter A. Much more than just bubble letters with a cutesie picture included, these are well defined, and beautiful renditions! With each letter, a 2 page layout is written. This format is easy to use as a jumpstart for a preschool sunday school class or even homeschool. The letter and symbol are stated and defined. She includes exercises to use to promote the letter and word association. Verses from scripture with that word are shared, Jesus words included in red. A prayer is included to read aloud together. The 2nd page of the layout is the full illustration with a seek and find, looking for hidden objects within the picture. These are so detailed that you can find additional symbols within. 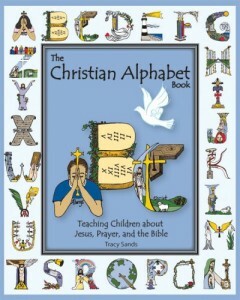 Tracy has created an absolutely beautiful, memorable ABC book of Christian symbols.